The Non-Contact High Voltage Detector is a high voltage detector by proximity. 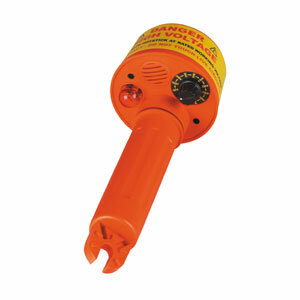 It is a product designed to warn the use of the presense of voltage in a particular work site. Wide range of detection; finds 80V to 275kV; one instrument fits all applications. Also check our Oil DielectricTesters!